Ice hockey players from Saipa. Watching KHL ice hockey game in Saint Petersburg. 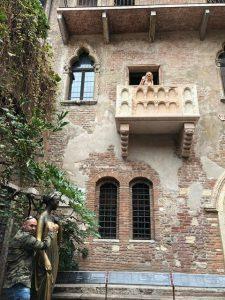 Juliet’s balcony in Verona in Italy. Since 2017 our school has started increasing international activities. We started inviting foreign students and people nearby or who our teachers had contacts with. We usually listen to them when they tell about themselves and things they do for living. For example, last November our school got the pleasure of listening two ice hockey players from Saipa, one of them being an American. We heard about their playing careers and personal lives. And as the icing on the cake we got pictures with them. The year was 2017 and our grade had started senior high school. And during that fall we got to go on our first journey abroad. Our destination was Saint Petersburg and we stayed there for the weekend. Our tour included the main attractions like churches and the Winter palace. 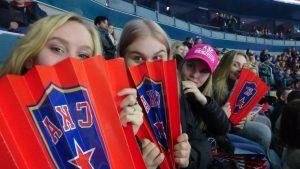 Also we had chance to see KHL ice hockey game or Sleeping Beauty ballet. Of course there was time to do some shopping too. Last October we did our second annual study trip abroad. This time the destination was northern Italy and our stay was a little longer. This time we had a group of students from Savitaipale senior high school as our companion. 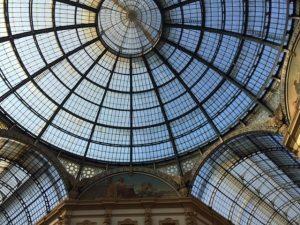 We saw the Dome in Milan and the grand shopping center Vittorio Emanuele. Then we headed to Varese where we had scheduled a visit at the local Europe school. On top of that we had a dinner together in a nice pizzeria. Next day our journey continued to different directions. Prior to our trip we had had a chance to choose our possible excursions. Some of us went to Lugano, Switzerland, others Verona to see Juliet’s balcony and the last group got to see fast cars in the Ferrari museum in Maranello. Our last day we ventured around town shopping for souvenirs. Now we are planning our upcoming trip. Where we will be heading is not entirely sure, but we are all very excited. We have a couple of destinations to choose from, namely London and the city of Krakow in Poland. They differ from each for example in size and culture which is depicted in their historical sights. We are raising money for our school trip, actually in a few weeks time we will have our first fundraiser for the trip. We are throwing a disco for the kids from our school. So as you can see, we are very eager to see the world and learn from our experiences. Europe, here we come!